Rakennetaanpa kitara! 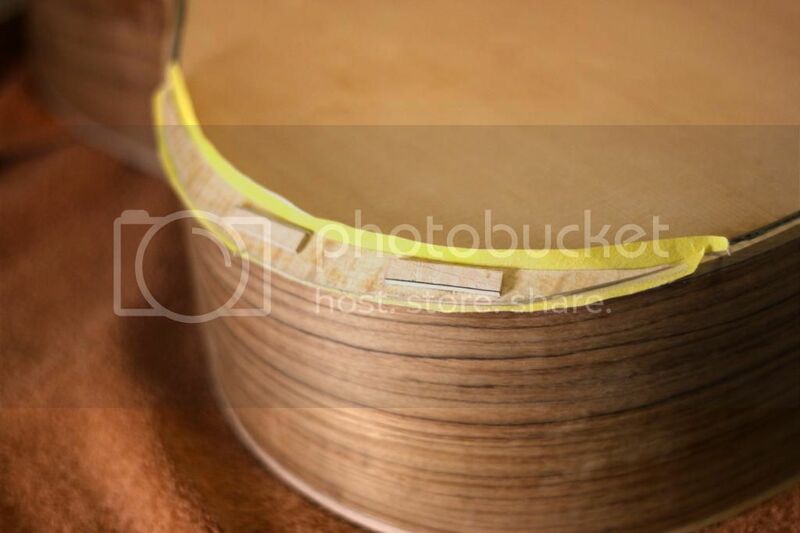 : An armrest bevel ready - and a new guitar coming up! An armrest bevel ready - and a new guitar coming up! 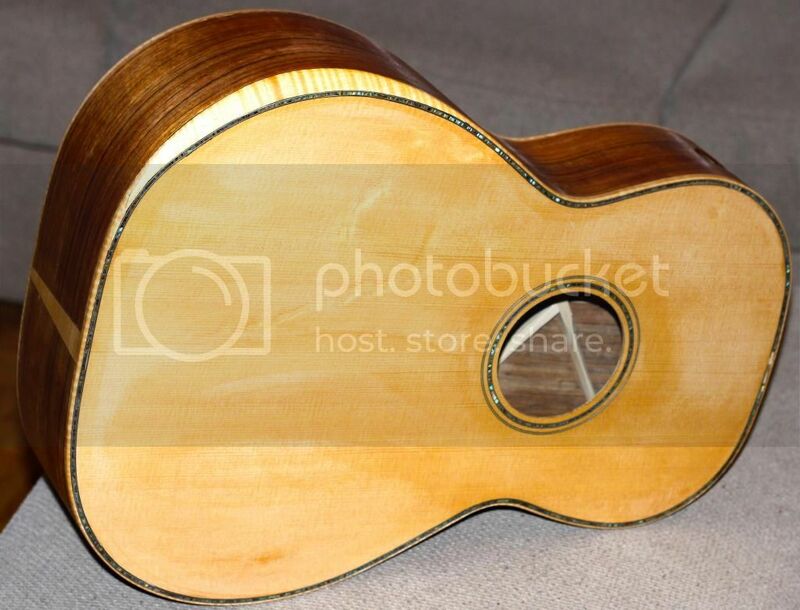 I've been building this H-13 style small bodied 13-fret guitar for myself every now and then for quite some time now. In december I finally got myself to shave the top braces and put the soundbox together. 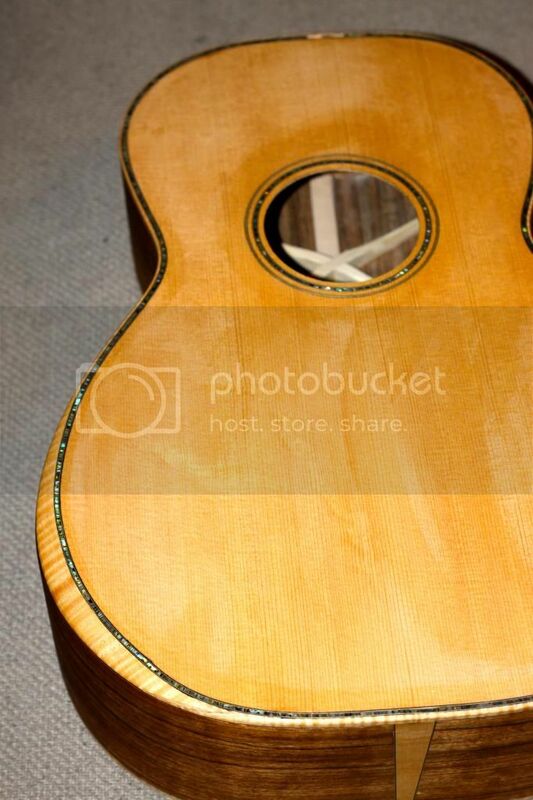 With narrow Zipflex green abalone purfling and maple binding this little guitar is starting to look pretty and classy. The top is Lutz spruce (with only partial bear claw but extremely high quality and nice silking all over the place), back and sides Ovankol with a nice mild figure. 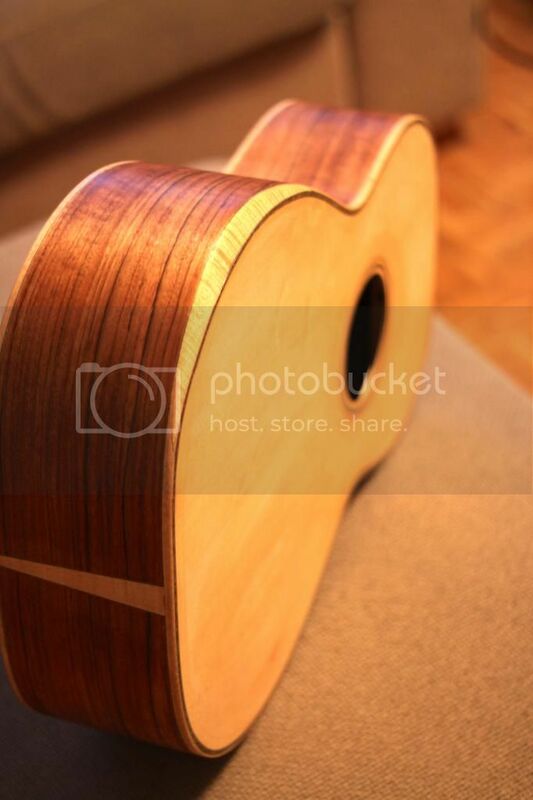 The armrest bevel adds quite substantially to the comfort of the guitar, but it's a pain to make. This was my second one, and I might have found a pretty good way to install the 3mm thick maple veneer in its place. 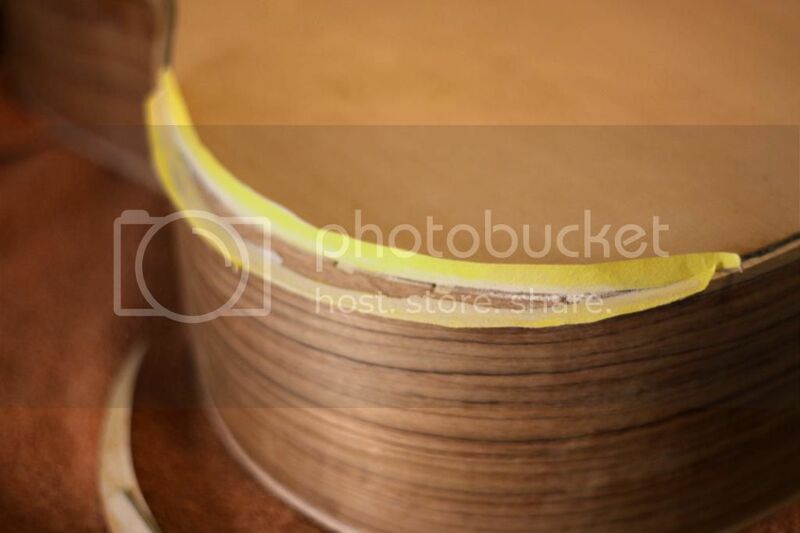 Then, using very short strokes, I sanded the veneer to the exact shape of the bevel slot. I superglued two pieces of binding as working handles to get a grip of the piece. And here the thing is finally in its place, filed and sanded flush, looking good! 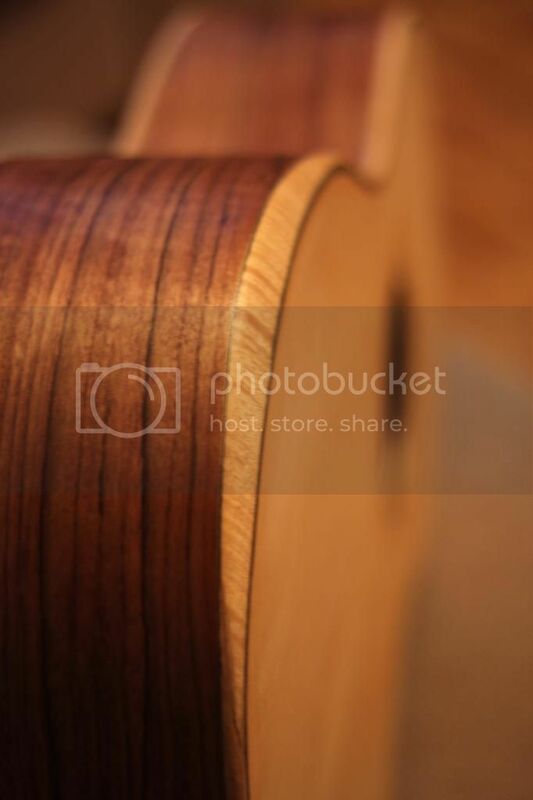 The transition from binding to bevel is visible, but hey, who else looks at guitars this close?